With Beats & Eats just around the corner, Chef Oliver was kind enough to invite us in to get a preview of his talents. We asked what we should expect on August 10th and he shared the dinner will be an experience unique to his restaurant featuring some delicious pork options. Say hello to my favorite thing I ate all night - Texas Bruschetta. I am basically obsessed with goat cheese (since I can actually eat it) and Chef Oliver was even so kind as to make sure the bread itself was dairy free. 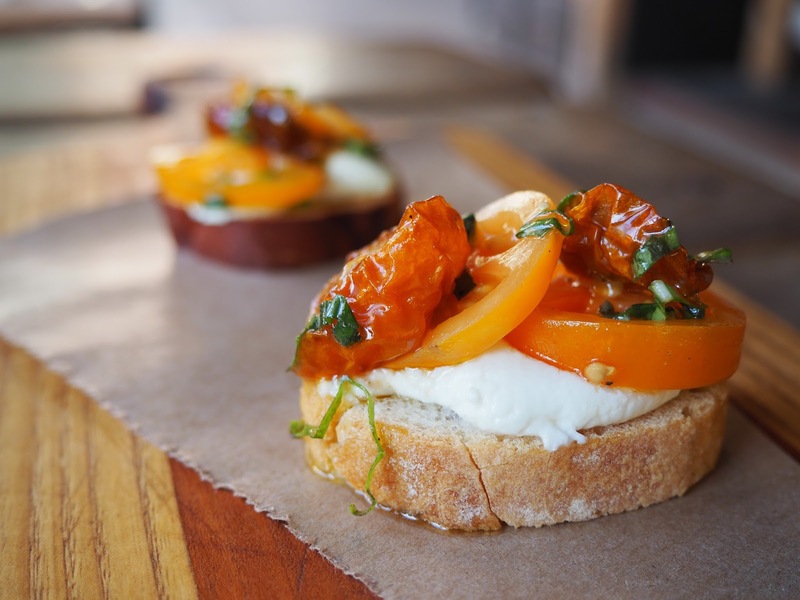 The goat cheese is sourced from the local Lost Ruby Ranch, and the tomatoes are local as well. So fresh, y'all. 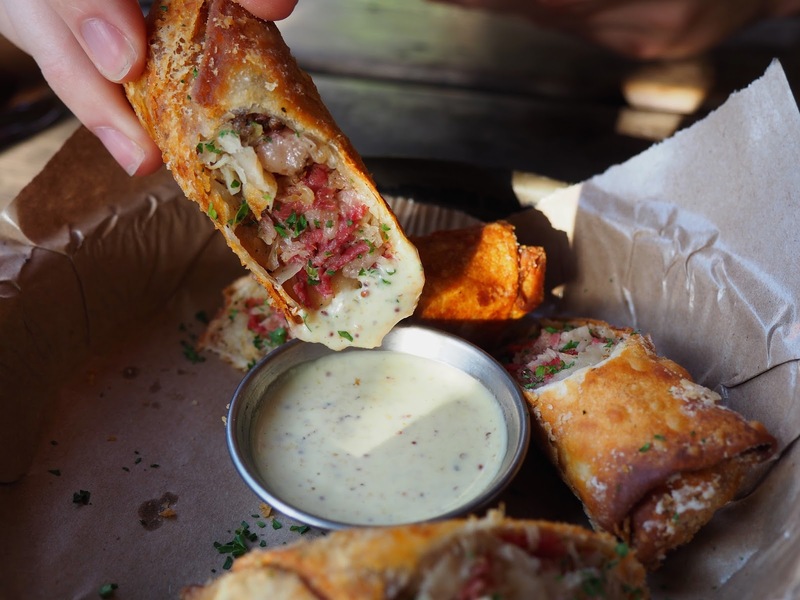 Paired with house-made creamy mustard, these pastrami egg rolls were excellent - they were flaky on the outside and filled to the brim. 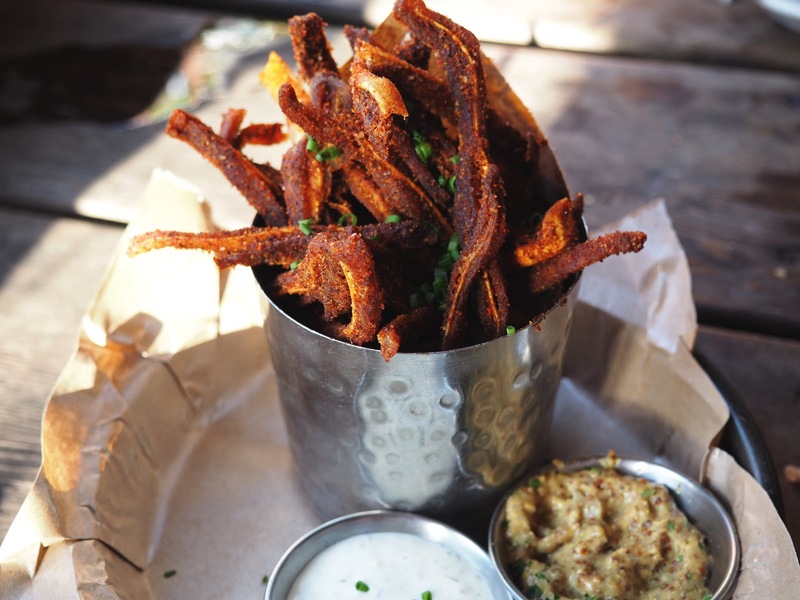 Let's be honest y'all, pig ears do not sound like the most appetizing things on the menu ... and when I saw Chef Oliver bringing them out, I was a bit worried. Covered in a blend of BBQ spices, these pig ears were sweet with a little spice and the perfect amount of crisp. We sampled quite a few of their different cocktails and I'm simply not sure I could choose a favorite. 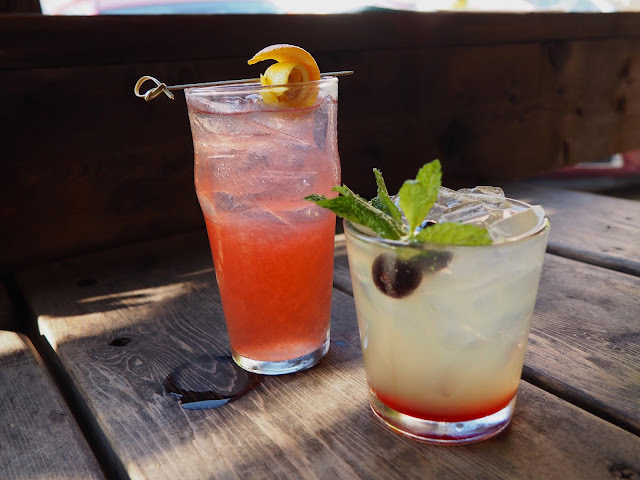 But I would highly suggest ordering their fresh made sangria, the Zephyr Pepino or the Butcher Smash. 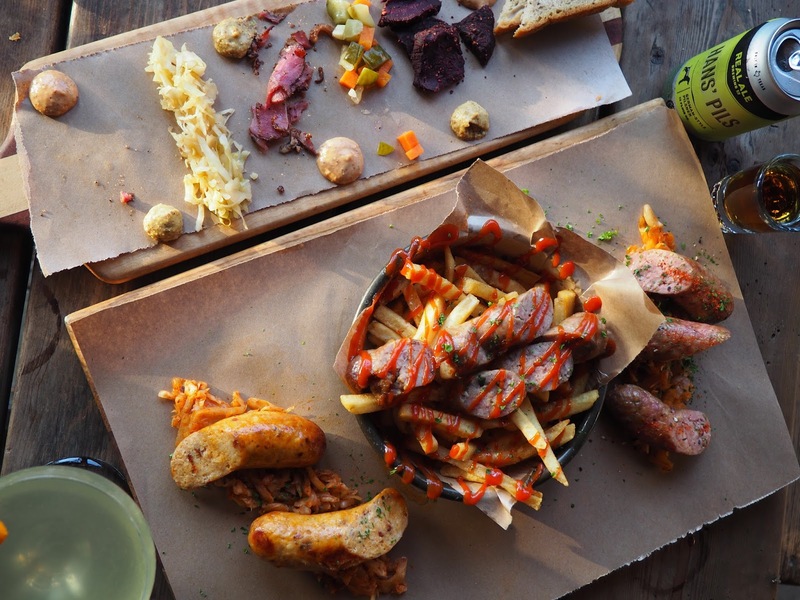 From the sauerkraut to the sausage, Chef Oliver and his team put a lot of time and effort into creating spectacular house-made creations. You can't go wrong with any of the many meat options available, so choose as you please! Don't forget to catch Chef Oliver at Beats & Eats on August 10th. To see the full dinner menu, click here.